Perfect for any family home! 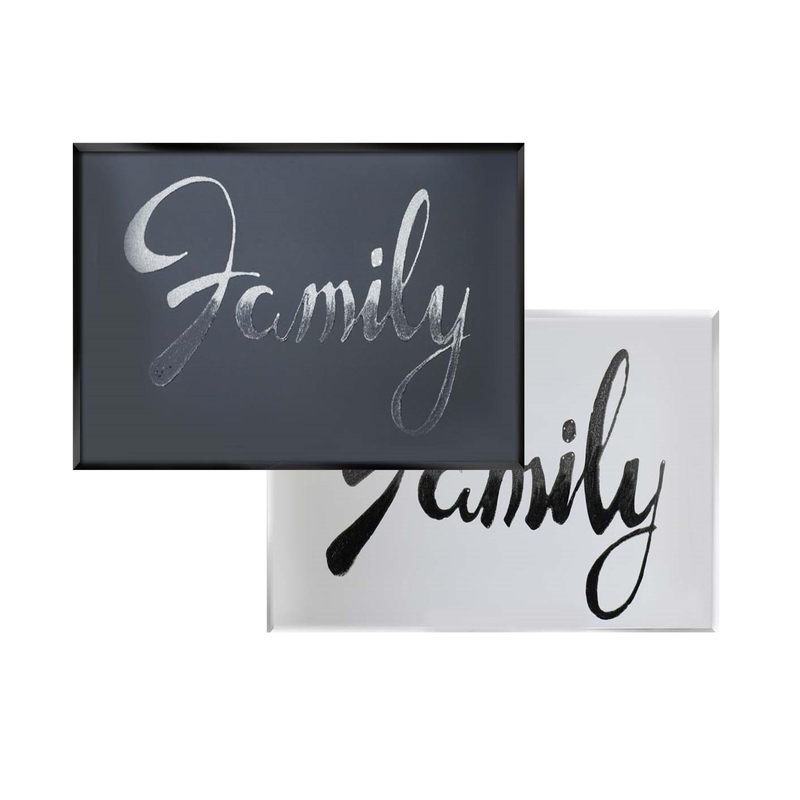 This stunning mirror can come with silver writing on a black mirror, or black writing on a silver mirror and we also have this piece in two set sizes as well as custom sizes. Hand finished in the UK and has a chic look to it although this is quite a simple style, so this piece would fit with any interior or decor. You wont fail to impress with this piece.